Diabetic RetinaScreen offers regular eye screening to people with diagnosed diabetes, aged 12 years and over, who are registered with the programme. How can I check I am on the register? I received a letter from Diabetic RetinaScreen, where did you get my details? What should I do if I have concerns about my eyes between screening appointments? How reliable is diabetic retinopathy screening? You can check if you are on the register (list) by ringing Freephone 1800 45 45 55 (choose option 1), and if not, your GP (family doctor) can contact us to ensure your details are added. Note - Diabetic RetinaScreen commenced screening at the end of February 2013 and is being introduced on a phased basis. Regular eye screening is the best way to detect diabetic retinopathy before you notice any changes in your sight. Specialised digital photography is used to look for changes that could affect your sight. When the condition is caught early, treatment is effective at reducing or preventing damage to your sight. Diabetic retinopathy eye screening is a key part of your diabetes care. Anybody* with Type 1 or Type 2 diabetes, aged 12 and older and living in Ireland, will be invited to take part if they are on the Diabetic RetinaScreen register. Diabetic RetinaScreen commenced screening at the end of February 2013 and is being introduced on a phased basis. If you have either Type 1 or Type 2 diabetes please Freephone 1800 45 45 55 (choose option 1) to check if you are on the Diabetic RetinaScreen register. 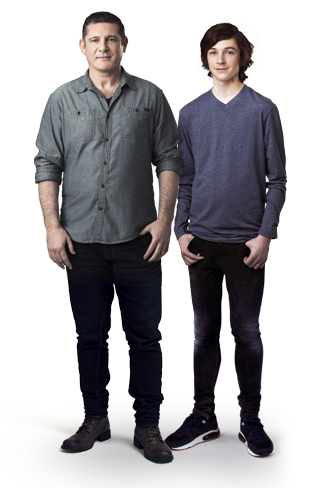 If you are under 16 your parent or guardian will need to accompany you to any appointments. Your GP (family doctor) can register you by ringing 1800 45 45 55 (choose option 1). *The only exclusion is those who have no perception of light in both eyes. If you are on the register, you will be invited by letter to attend for screening. When you get the letter if you would like to participate, you must call Freephone 1800 45 45 55 to consent to give the programme permission to receive, hold and share your personal details within the programme. You will then be sent an appointment letter to attend for free diabetic retinopathy screening at a local screening centre. If you are under the age of 16 you must be accompanied by your parent or guardian. The screening appointment takes place in a Photography and Grading centre. This involves taking two photographs of each eye. At the eye screening appointment drops will be put in to your eyes to temporarily make your pupils larger. You may find that the drops sting. Photographs of the back of your eyes are taken with a digital camera. The camera does not touch your eyes. Photographs are sent to an expert to review. The appointment will last about 30 minutes. You should receive your results letter by post about three weeks after your appointment. Your GP (family doctor) will also be sent a copy of the results. Most people will have a normal result. This will mean they have no retinopathy or have early changes to their retina (or eyes) and will be invited back for routine diabetic retinopathy eye screening. Any follow-up or further assessments of diabetic retinopathy that are recommended as part of the screening programme are free of charge. The result was normal. This means that there were no diabetic eye changes found on this occasion. This indicates that some minor changes were detected. These changes are caused by diabetes but do not warrant a referral to an eye specialist. Background retinopathy does not need treatment and does not affect your eyesight. It can sometimes improve without treatment and is not deemed to be of any concern during the course of the following year. It is very important that you come to your next screening appointment because if these changes progress your vision may be affected in the future. It is important to control your blood glucose and blood pressure in order to prevent these changes from progressing. Without treatment proliferative retinopathy may result in total loss of sight, and it is very important that these changes are fully assessed as you may require treatment. Proliferative diabetic retinopathy is treated using laser treatment or injection. Screening aims to find proliferative diabetic retinopathy at an earlier stage before the vision has been affected when it is easier to treat. A referral will be made on your behalf to an Ophthamology Clinic and you will receive an appointment letter. It is important that you attend this appointment. Diabetic macular oedema occurs where leaky blood vessels affect the part of the retina called the macula which is needed for clear sharp vision. If there is leakage of fluid from these vessels that affects the centre of the macula the sight will be affected. A referral will be made on your behalf to an Ophthalmology Clinic and you will receive an appointment letter. It is important that you attend this appointment. Macular oedema is treated using laser or injections. Screening aims to find diabetic macular oedema at an earlier stage before the vision has been affected when it is easier to treat. Sometimes in screening other eye conditions may be identified, however if you have any concerns about your eyes or your sight, please contact your GP (family doctor) or optician. I received a letter from Diabetic RetinaScreen - where did you get my details? Diabetic RetinaScreen has a list of people with diagnosed diabetes. This information came from national health schemes, such as the Medical Card Scheme, Drugs Payment Scheme or Long Term Illness Scheme. In addition to these sources GPs (family doctors) can register people with diabetes with the programme. Note - The NCSS also encompasses BreastCheck – The National Breast Screening Programme, CervicalCheck – The National Cervical Screening Programme and BowelScreen – The National Bowel Screening Programme. There is a different register (list) held for the different programmes and the details of each are not shared. Please tell us if you have special needs. We will arrange services and facilities that are accessible. All mobile and fixed units are wheelchair accessible, and appointments will be made at a screening location in close proximity to your home. Screening locations screen six days per week (Monday – Saturday). If you have concerns about yoru eyes do not wait for your next eye screening appointment. 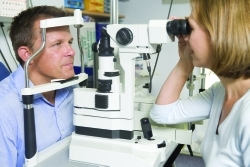 You should contact your GP (family doctor), eye doctor or optician if your sight gets suddenly worse, or you may lose all or part of your sight..
Like all screening tests, diabetic retinopathy screening is not 100 per cent reliable. Diabetic retinopathy screening looks only for diabetic retinopathy and may not detect other eye problems. This is why it is so important to see your GP (family doctor), eye doctor or optician if you have any concerns about your eyes or your sight.